US politics has been trying to incentive local production of goods and services. Did the land of honey awake? Beekeeping is as much art as science. In the small town of Holliston Massachusetts, an original Holliston-based honey producer launched its own share program. They are selling larger quantities of raw local honey and beeswax candles directly to consumers. Beehive and honey making is one of the most ancient human activities. As new markets strongly convey messages of the intangible and the virtual, the honey business hives and hisses in the background throughout the lands. Honey exports and imports business ascend to millionaire figures world wide. Reseska Apiaries has 25 bee yards with about 1,000 colonies on private farms in communities across Eastern Massachusetts, including Concord, Dover, Holliston, Lincoln, Medfield, Sherborn, Sudbury, Wayland, and Weston. There are those who say that due to climate conditions the populations of bee have decreased significantly in the US. However, across the States, the bees and their keepers are engaged in a sweet dialogue. 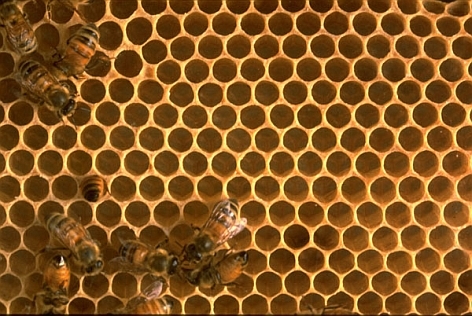 The USDA Animal and Plant Health Inspection Service is recommending that Australian package bees be banned from entry into the United States due to the danger of accidentally importing the Asian honey bee Apis cerana. The American Bee Journal reported that Honey crop estimates continue to look better than last season's record poor crop. Many beekeepers in the Northeast and Mideast harvested considerably more honey than they had received in the last few seasons. There is a continued strong demand and a general shortage of honey at the wholesale level. Honey making, bees, and hives can be found across the US. South East, South West, Mid Easy, Northeast, and Central, West all produce their own honey. Internationally several countries are focusing their efforts on Bees and golden Honey. In Asia, Vietnam has produced nearly 20,000 tonnes of honey. They export 80-85 percent and are becoming one of the top-ten honey exporters in the world. Other countries like Zambia are following the lead. Finance Minister Situmbeko Musokotwane has urged Zambians to venture into honey production because it can contribute to Zambia's Gross Domestic Product GDP.